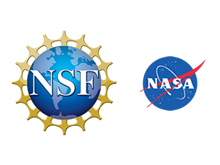 UNAVCO's core sponsors are the National Science Foundation (NSF) and the National Aeronautics and Space Administration (NASA). NSF leads sponsorship of UNAVCO, providing more than 90% of its funding for core research and education activities and services to investigators and the geoscience community each year. NASA also provides key core funding for maintenance of the Global Geodetic Network (GGN) in support of the International Terrestrial Reference Frame (ITRF) and the collaborative activities of International GNSS Service (IGS) and its community. Other sponsors fund specific projects that support UNAVCO's mission and broaden the reach of UNAVCO community science, or serve as donors to programs that cultivate the geoscience workforce.